6mm bicones (a bicone is the shape of two pyramids joined at the base). 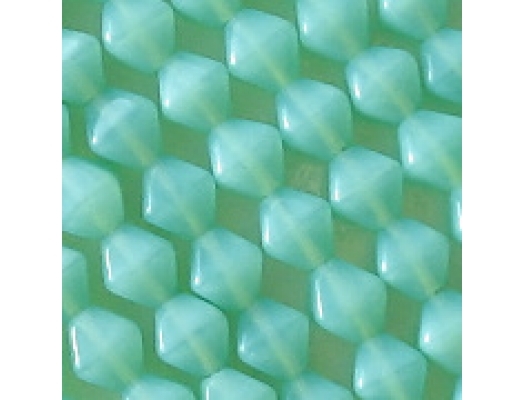 Milky or opalescent aqua-green (light teal). 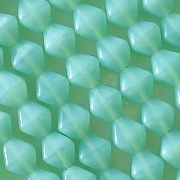 The newest batch of these beads is a slightly different shade (more green and less aqua) and is also a slightly better quality. I keep changing the name of the beads. I used to call them "milky aqua-green", but now I call them "milky greenish turquoise". 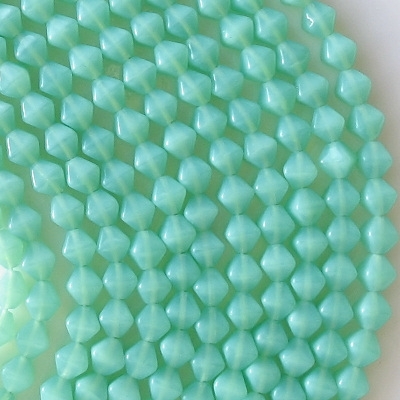 They are, in fact, the same shade as greenish turquoise, except that they are milky.